Notes from the Cuban Exile Quarter: Rosa María Payá: "Let’s not speak for the Cubans but support the right of Cubans to have a voice in Cuba." Rosa María Payá: "Let’s not speak for the Cubans but support the right of Cubans to have a voice in Cuba." The debate over sanctions in Cuba is often the main conversation in Washington D.C. due to both the Castro dictatorship and the money interests that want to advance their particular agendas. Often left out of the conversation is the question: What about the rights of Cubans? 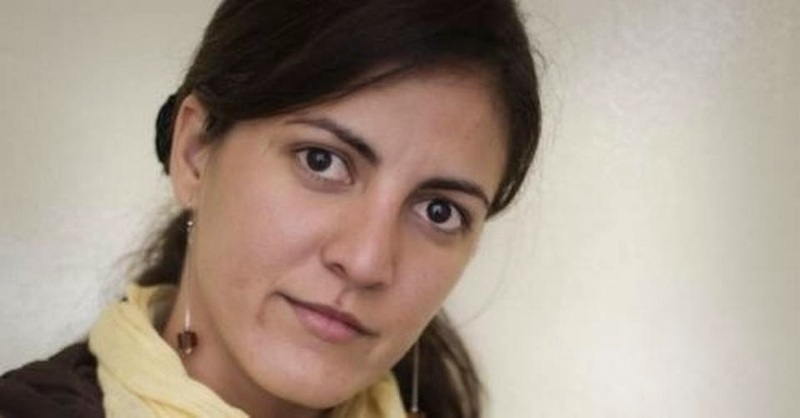 Rosa María Payá of the Christian Liberation Movement raises the issue in this important letter published in The Washington Post. Conversations with the Cuban government, which have been maintained for decades by U.S. congressmen, lobbies, nongovernmental organizations, businessmen, journalists, religious leaders, intelligence and government officers, have hardly served democracy in Cuba. Neither has the U.S. trade embargo. What Wayne S. Smith, Cuba project director for the Center for International Policy, said in an Oct. 26 letter [“Keep the trade embargo?”] is a Cuban move “toward liberalization,” my father, Oswaldo Payá, called “fraudulent change.” The Cuban dictatorship that is supposedly changing is the one responsible for taking the life of my father and Harold Cepero on July 22, 2012. They refuse to allow an investigation of these deaths. How can anyone know what “the overwhelming majority” of Cubans agree on if we have no access to mass media on the island and no citizen under the age of 80 has ever voted in free and pluralistic elections? Cubans deserve and have asked for a plebiscite to change our law so that we can choose a legitimate government and hold it accountable. Lifting the U.S. embargo is not the solution because it is not the cause of our lack of political and economic rights. I’m in favor of coherent communication, but engagement and dialogue should not be a reward for the military elite from Havana that imposes its monologic agenda on my people while fostering intolerance and hostility with absolute impunity. Let’s not speak for the Cubans but support the right of Cubans to have a voice in Cuba. The writer is a member of the coordinating council of the Cuban Christian Liberation Movement.